Farmweld > What makes Farmweld different? usually get to speak to the person who makes your metalwork. We can build to your budget. It enables us to be flexible, so we can make your product exactly as you’d like or need it to be. Everything is made from ‘scratch’ so we can tailor any aspect of the job to suit, e.g. colour, size, etc. We can keep an [eagle] eye on quality control. won’t break or fall apart within a couple years. We don’t believe in built in redundancy! All this at a fair & reasonable price. We are passionate about our work, love what we do and value our customers. Quality products are made the old fashioned way – with love, passion and integrity. Farmweld gates, wrought iron and garden products are made strong, so they’ll last. 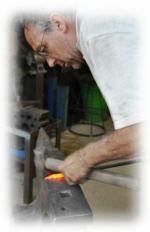 Properly made, hand forged wrought iron is an investment and will be enjoyed by generations. 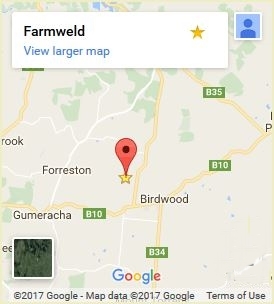 Farmweld guarantees the workmanship of all their products. If you’re looking for honest, quality workmanship and value longevity over cheaply made products then go no further.